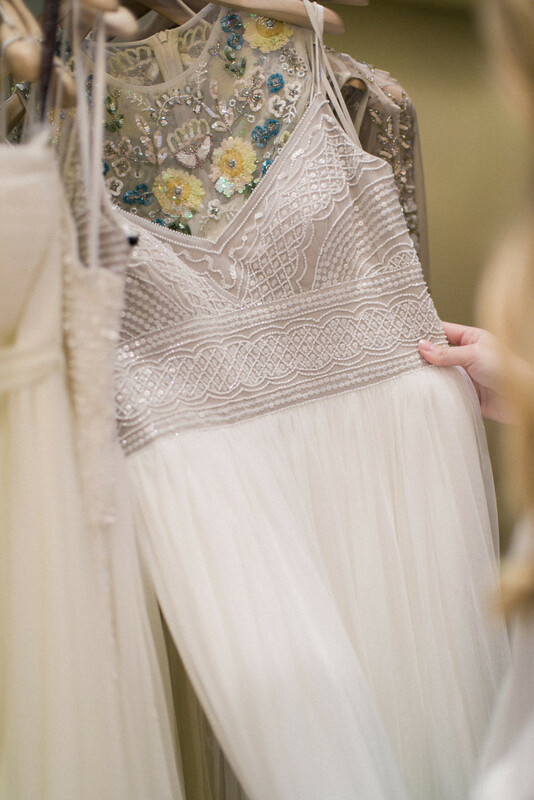 I’m so excited to show you a behind the scenes look at my appointment with BHLDN last weekend! I showed a few peeks on snapchat, but I really to show the whole experience here on the blog! 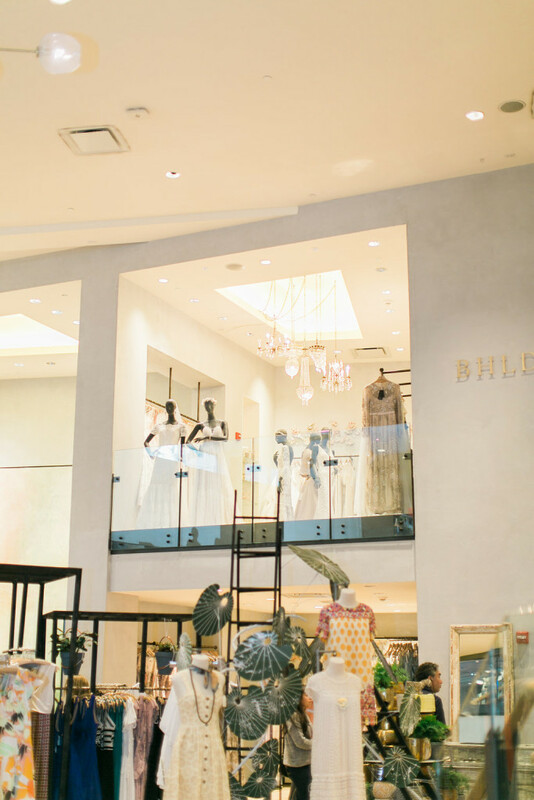 Last Saturday my mom, my best friend and I headed to to Upper East Side to the gorgeous Anthropologie there for my BHLDN bridal appointment. I made my bridal appointment in January, so if you’re thinking of just heading there to try some dresses on, definitely call ahead of time! After a few hiccups (a 20 minute taxi drive taking 1+ hour), we finally made it to the store! BHLDN (pronounced “beholden” – I kept spelling out each letter until my photographer told me how how it’s supposed to be said, haha!) 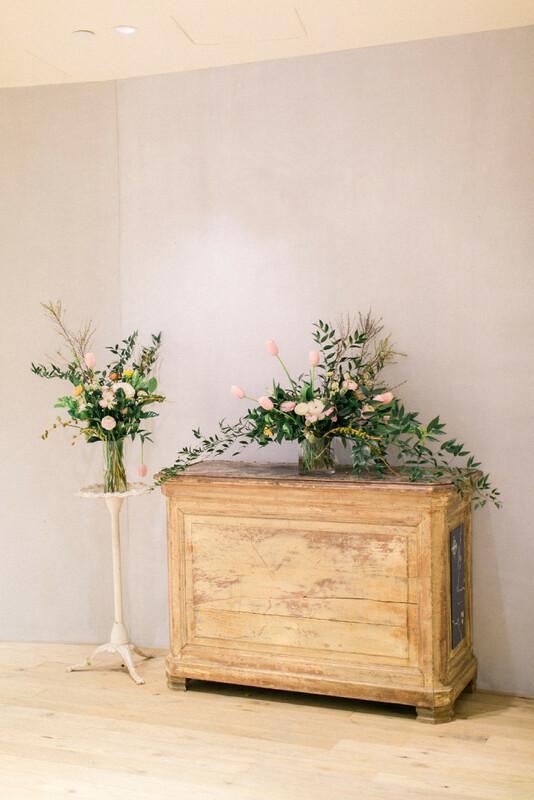 is Anthropologie’s wedding brand. 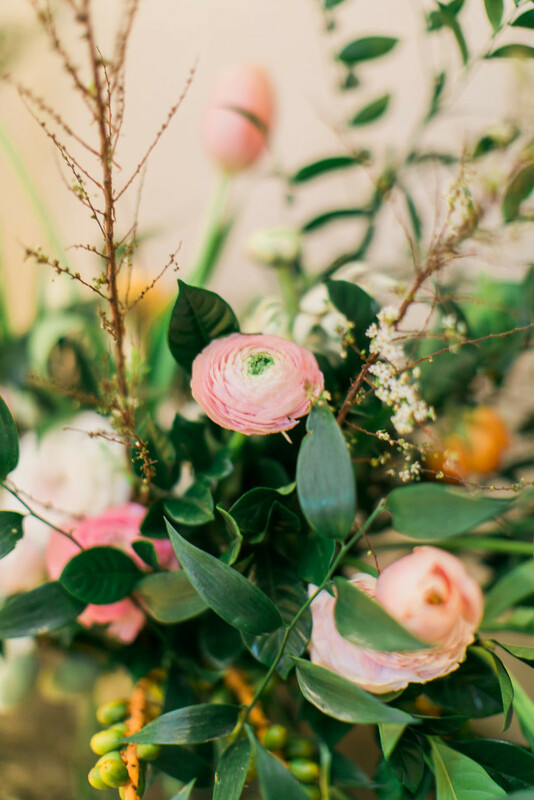 A specially curated wedding shop with all the Anthro, effortless, chic bohemian vibes. 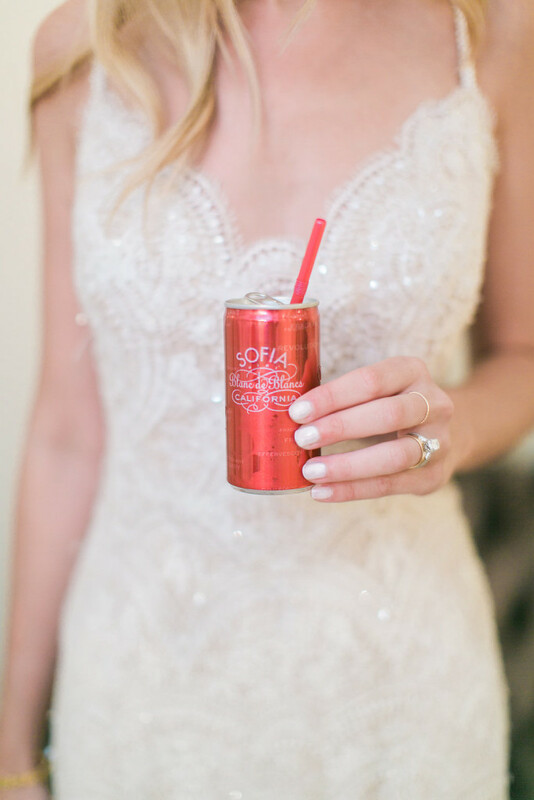 All things which I want my wedding dress to embody! And I’m all for effortless without being overly princess-ish. Yes and yes. Honestly, since it was my first time even touching a wedding dress in person, I had no idea what to expect. I know this might sound strange, but before this appointment, I hadn’t given a lot of thought to what type of wedding dress I would like! I created my Pinterest “wedding board” only within the past few months, and y’all…I had no idea how lost you can get pinning wedding stuff. Anyways, I went into the appointment with an open mind on what styles to try on. The only style I had an aversion to was a dress with too much tulle (and go figure the gown I tried on with tulle was one of my favorites! see below). Everyone whom I encountered in the store was just beyond sweet and so genuinely excited for all the bride-to-bes that walked in! Nothing better than having a few cheerleaders right off the bat as soon as you enter, since sometimes the search for the perfect dress can be a little intimidating. Not the case at all here! I loved the warm, environment and the gorgeous decor. 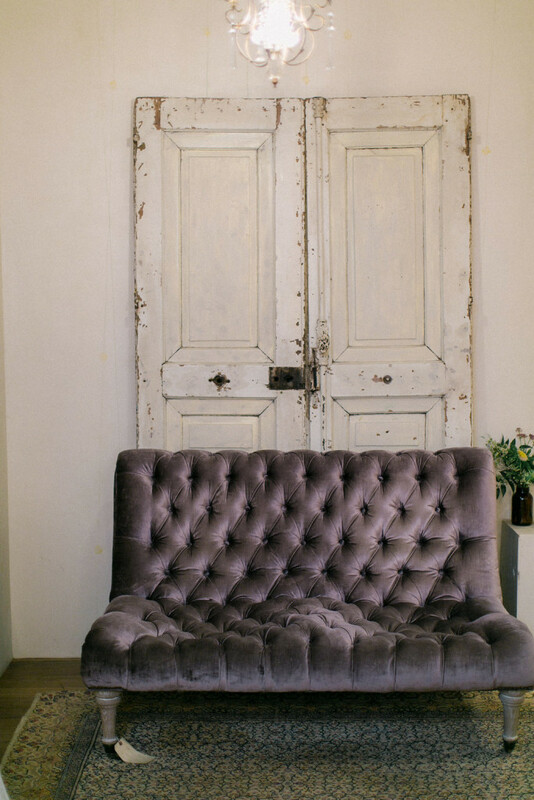 I mean, can I just take that lavender couch and barn house door home with me?! Also, you have to walk through the candle section to enter the BHLDN part of the store. Dangerous territory. I just needed to pick up another Capri candle, right? 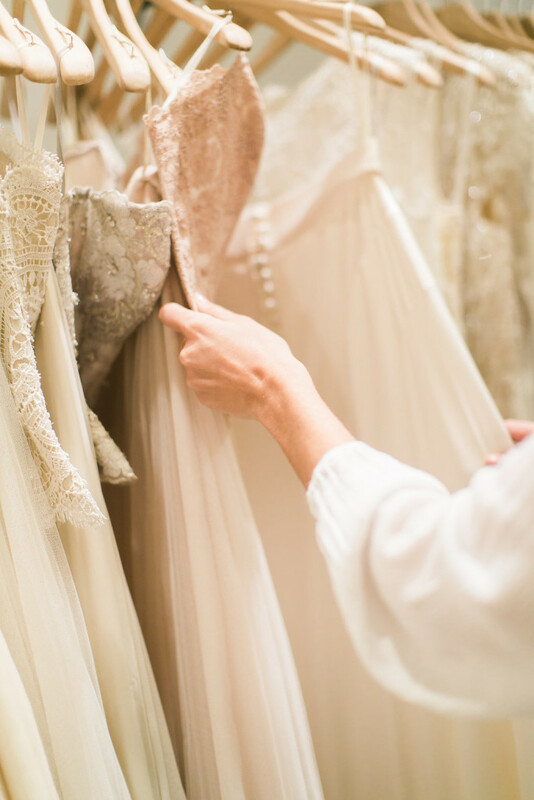 We picked out a few dresses for me to try on (we as in me, my mom, my best friend, my photographer and my bridal appointment consultant – hah! ), which was great since I needed all the guidance I could get! Another thing I love about BHLDN is that the the price points of their gowns are so so good. Every dress I tried on was under $1800! The girls who help you also just get it. 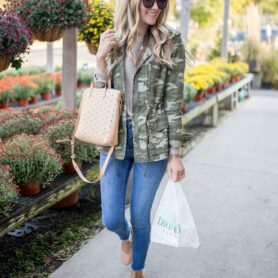 They aren’t going to try and force you to get something out of your price point and will really work with you to help you find a style that you love! 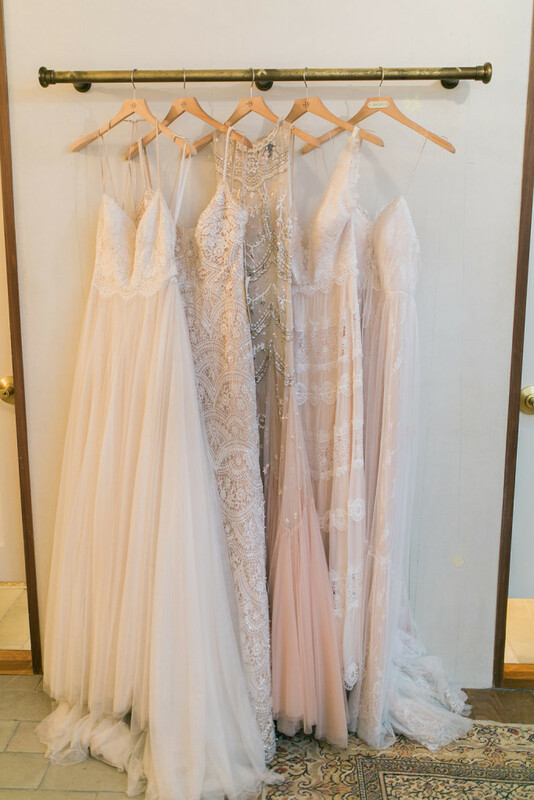 Plus, I love that BHLDN isn’t just an in-store. The online shop is just as amazing and is always updating with fresh styles. I mean can we talk about this amazing frock as a reception dress? Or this cute number for bridesmaids? Love it all! Tell me which style y’all love! XO! 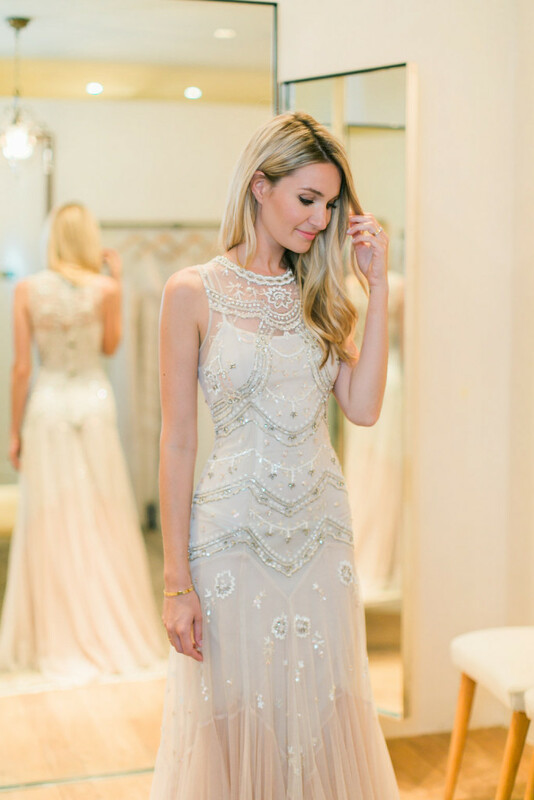 Thank you to BHLDN for collaborating on this post! All opinions are my own. What a great post! I was thinking of making an appointment there and now I definitely will. the Rosalind dress looks beautiful on you! Have a great day! These dresses are GORGEOUS and you look so stunning! You are too sweet, thank you Molly! XO! You are going to be a STUNNING bride!! 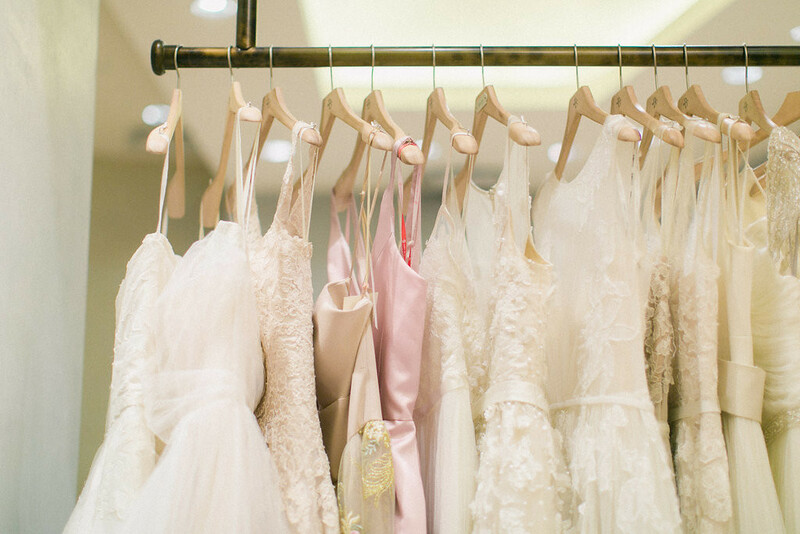 Every single one of these dresses looks amazing on you. I love that you took us to your appointment with you. Weddings are just so fun! Kaitlin the Rosalind was made for you! You look beautiful in them all though! This is the dreamiest of all posts! Every dress literally looks amazing on you! I’m so excited for you girly!!!! You look positively stunning in all of these! Did you say yes to the dress during this visit? Kaitlin, you look incredibly beautiful in ALL of the dresses you’ve tried on, you really are going to make for a gorgeous bride! I love antro, everything they make is so unique and beautiful! Thank so much for sharing and I hope you have an amazing week ahead! PS: I need to try that little tip you shared about your engagement ring, mine is a little big on me, too. Perhaps I’ll wear my band on top, thanks for the idea! 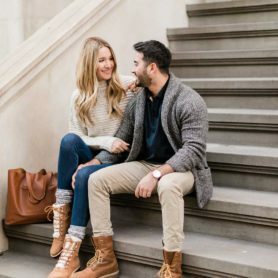 I love that you took us behind the scenes into your appointment! 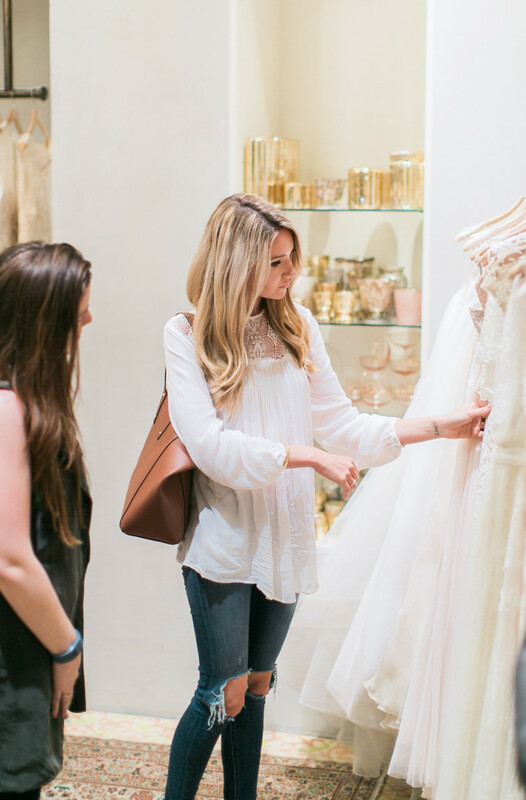 So many bloggers just take pictures of the place, and it was so refreshing to see a different take…plus actually trying on the dresses! You look stunning in each, but I have to admit, the Rosalind was my favorite! 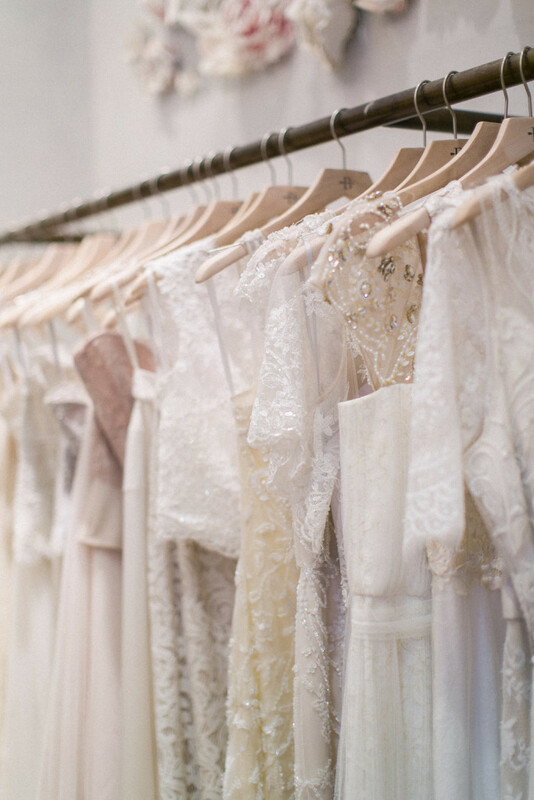 Did you say YES to any of the dresses? 🙂 You already look like an Anthropologie model , so I bet it would be hard to pick one when they all look so good!